Well. ..I think I found a desert that I need to work on. Souffle, oh how you evade me! My souffle was very watery and nothing like the photo in the book. I think had I cooked it a bit longer then it would have turned out. The cookbook version is a dark brown, mine is light. I followed the written instructions to cook until slightly jiggly...but no luck. It did however taste pretty good. 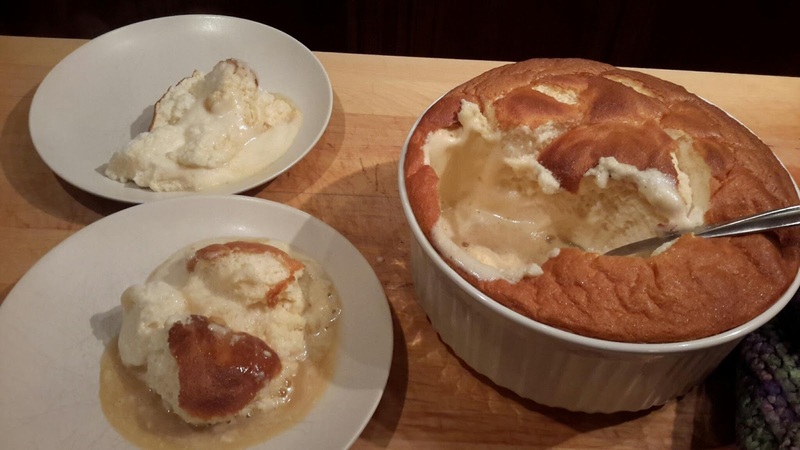 I would try this or another souffle recipe again.